Blatant Strategic Blunder- ignore Prussia, the worlds first Lutheran State murdered by the counter reformation, and prime candidate for new reformation state against the ancient regime, for the sake of needless race-baiting and a needlessly white only apartheid ‘ProBaptiCal’ in Eric Jon Phelp’s home state of Pennsylvania. Flashback to the end of 1942. Wlodimir Ledochowski is dead, reportedly from gastro-intestinal problems. The tide of the war has just turned against the 3rd Reich at Stalingrad. A group of men from Germany and elsewhere sought to stop the madness. End the war. 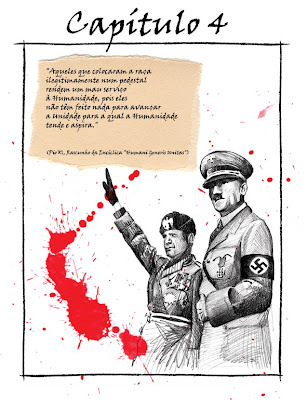 Kill [s]hitler. Do it now (1943). Keep the USSR forces out of Central Europe, best within their pre-WW2 borders. But FDR would say no to stopping the madness- let it go on for two more years against any semblance of common senses on the surface, just as let refused to allow the St Louis to disembark let along the US have a few hundred addition German-Jewish immigrants. It HAD to go on- the USSR pushing the 3rd Reich forces back long enough to drive deep outside of the pre start of the war border, deep into Poland and beyond into Berlin with massive costs of human lives in military and in civilian population. It could not end at some intermediate area, within the western USSR or eastern Poland. It had to do so, rolling over the objections and ultimately the life of U.S. General George S. Patton. It had to go on for the occult agenda- to facilitate the aim of the counter reformation along with numerous other aims to the aim of the counter reformations revenge against the state that stood up to the Vatican during Wlodimir Ledochowski’s childhood, Europe’s first protestant Lutheran state- Prussia. Naturally in seeking to expose this, I sought and contacted the most prominent figure on the internet search of potential anti Vatican allies- aka Eric Jon Phelps. EJP after all appeared to be the most prominent anti Vatican entity upon the internet with his web site, and his book by the name, Vatican Assassins of some 700+ pages, and 2 or 3 editions: about the Vatican’s political maneuvering-manipulations of history such as plotting wars to further its self, of which most are unaware because of the Jesuit Order’s prioritization of EDUCATION. Hence, this book’s coverage includes that of what Phelps terms as Europe’s 2nd Great 30 Years War of Religion (1914-1945). The first was that of 1618-1648- which writers selected by The New York Times will insist was Europe’s LAST great religious war! That which people know as World War One and World War Two are but the two main parts of the latter- as a series of events designed to advance the rule of the ancient regime of the Roman Catholic Church. On June 10, 2007 I posted my first block of articles about this focusing upon the leadership at the Jesuit Order at that time- of Wlodimir Ledochowski- 26th Superior General of the Jesuit Order. “A great site! The pre and post WWII boundaries have never been analyzed until now. I mentioned the necessity of this important analysis in Vatican Assassins. The result would evidence the benefit of the Papacy and this the Vatican being the real culprit behind the Second Thirty Years War (1914-1945). >Has anyone else placed W Ledochowski with the Oder-Neisse line? So I figure, that an excellent way to demolish Rome is to expose its culpability for WW2; and that Phelps, being the author of Vatican Assassins, and by implication, having some handle upon military and by extension political strategy, would see not only that, but also the potential of this mass revelations of Rome’s crimes plausibly sparking an interest in re-addressing the culmination of WW2 status quo- particularly the Oder-Neisse line. So there, I could see the need and the solution of a new republic as infinitely a more workable solution then attempting to turn back the clock to the pre WW2 borders, and especially practical in what was Europe’s FIRST Protestant State? It only seems logical for Vatican Assassins with its creators already evident preferences and interests to have an interest in this blacked out history hence largely unknown and forgotten land of the protestant reformation – Europe, indeed the world’s FIRST PROTESTANT STATE. 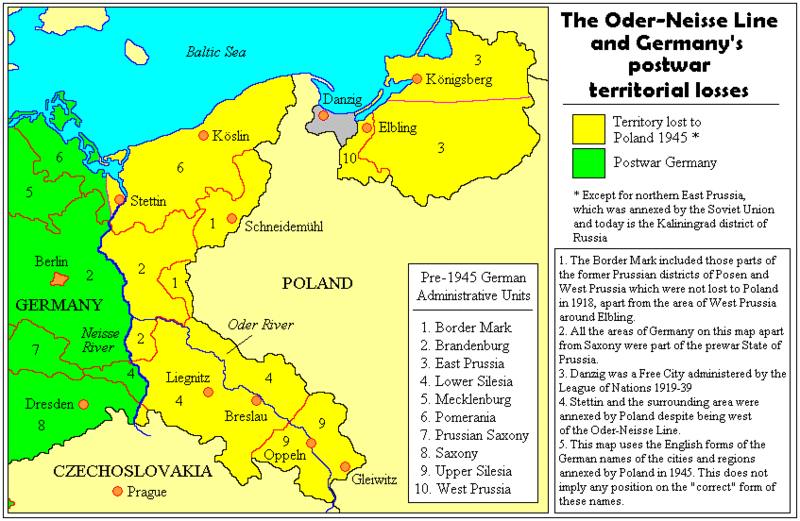 This was of course essentially the original territory of Prussia later know as East Prussia, wiped off the map in 1945 and partitioned north-south respectively between the U.S.S.R. and Poland. The very name of Prussia originates with the Prus- a Baltic people. Many were murdered by the Teutonic Knights German Roman Catholic military order that invaded Prussia in the 1200s. Others were eventually absorbed into the immigrant and successively landed Germans, resulting in their descendants being Germans who were partially Prus. After 1525 Prussia grew, encompassing the lands around Berlin of Brandenburg. 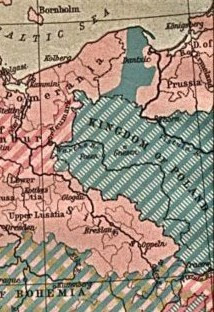 During the 1700s, Prussia defeated Austria, gaining Silesia- the province that, unlike Bavaria and Poland had largely withstood the Counter Reformation, remaining Lutheran. 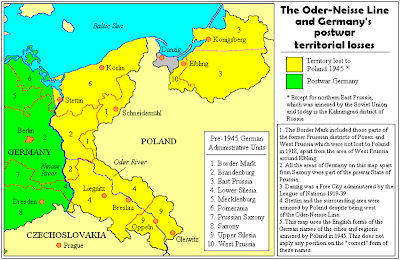 By the 1800s, the State of Prussia included lands bordering Holland and Belgium, and during the 1860s gained Hannover. By 1871, Prussia united the various German states, excluding Austria, into the Deutsches Reich under the leadership of Otto Von Bismarck. As readers of this blog are aware, this was the area of the Kulturkampf of Bismarck's Prussian led Deutsches Reich -- otherwise known as the 2nd Reich, with [s]hitler's being the 3rd Reich and the 1st being the "Holy Roman Empire" -- and of the Kulturkampf Revenge -- Revenge for Bismarcks' anti-Clerical Kulturkampf -- of Wlodimir Ledochowski: 26th Superior General of the Jesuit Order (the so-called "Society of Jesus") from February 11, 1915 to his death December 13, 1942. It only seems logical for Vatican Assassins to have a strong interest in thrusting this blacked out history hence largely unknown and forgotten land of the protestant reformation – Europe, indeed the world’s FIRST PROTESTANT STATE. This is especially so considering Eric Jon Phelps's tastes in what he loves, not only Protestant Christianity, but also the Celtic, German and Slavic peoples of northern Europe -- Phelps himself being self described as Irish and a little Pawnee Indian, and residing in the U.S.A. in Pennsylvania- a land with quite a few people of German ancestry, plus generally those Polish, Czech, European Jewish (generally part German and/or Eastern Europe)) and Black (sub-Saharan African ancestry). Indeed, within the U.S., Pennsylvania is frequently refereed to as "Dutch" Country- a mistranslation and understanding of the term "Deutsche" (German rather then Dutch). Yet instead he embarks upon this "ProBaptiCal" apartheid state excluding Blacks, turning his back on the land of Europe's 1st Protestant (Lutheran) State of the European White peoples such as Slavs and Germans, instead ignoring Prussia, for the sake of something instead within his currently home state that would force out the Blacks- disregarding that a reincarnated Prussia would not be forcing out any ethnicity (and likely has few Blacks). Phelps could have a new republic upon Protestant Christina principles free of the planet's luciferian romish-masonic shadow government, without his embarrassing hang up regarding Black people thrust forth as an agent provacator, marked by his ridiculous obsessive use of his crackpot sloganeering of "Majority Blacks Savages". Phelp’s racism is something like a speck of rust or cancer, appearing small before spreading, with the term appearing with greater and greater frequency, as Phelps increasing favorite term– “Majority Black Savages”. 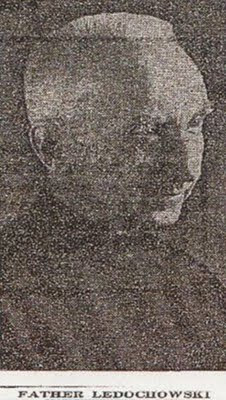 By 2007 his writings had already included more frequent use of the terms “civil blacks” and “savage blacks”- with his BS conclusion that a majority were savage- with the word ‘majority’ appearing before the words ‘savage black’. However in latter 2008 there’s an evident shift, with Phelp’s massive highlighting of that concocted term “Majority Black Savages”. A google search shows him first using that term in August 2008, and two more times that year. Concern over this spurred an email conversation on matters of “race”, including my November 1, 2008 admonishment to EJP “how dare anyone other than God presume a majority of Blacks or any other whole people are “savages”. Reading him defend it let me with little doubt that he was displaying a prideful arrogance unfitting a Christian, like he was projecting some early negative experiences of his, projected out upon an entire people within the U.S.A. if not the planet, along with a convenient disregard of such matters as the Jesuits creating the problems promoting ‘savagery’- Phelps was placing the blame upon the proverbial ‘low man on the totem pole’ literally sticking that pole up their a-----. Unlike a scholar, and very much like a Jesuit, Phelps was promoting a highly generalized set of thought processes against Blacks as a group saying that a MAJORITY were savages and that they thus had to be separated from others by this presumption- a quite jesuitical set of through processes seen with so many other topics when the ancient regime seeks to demonify a person, people nation, thing, or commodity. While only highlighting that obnoxious slogan in latter 2008, Phelps has since sprinkled it quite liberally through his writings- polluting the later edition of Vatican Assassins with this claptrap – as if this was somehow a strategy to undermine Rome, instead of undermining Rome’s opposition! Indeed, Phelps’ use of the term can not be seen as a means to hurt the Vatican. Rather its something to hurt those opposing the Vatican, both theologically and politically – including myself with pushing the envelope in exposing the Vatican’s power over the U.S. Capitol regarding the aborted Extending the Legacy South Capitol Mall, and with the grossly under-appreciated role of Wlodimr Ledochowski, which Phelps devotes strangely little attention to and knowledge of – not even knowing what the Oder-Neisse line was (the aim of the counter reformation) after writing Vatican Assassins – let alone Prussia's Reincarnation- something to think about if knowledge of the Vatican’s culpability for the World Wars became an object of mass consciousness. Hence be sure to try to pollute this consciousness – polluting the reputation (hopefully from a Vatican-Masonic ancient regime continuation perspective) of making the anti Vatican movement look stupid. Akin to the ancient regime’s tools extended WW2 for two years in order to bring about the aims of the counter reformation, such as invading Italy by wasting time in Sicily and slowly up the boot rather then straight from the coast to Rome, EJP’s pathological attitudes towards Blacks would be like circling Sicily in boats made proverbially weaker and weaker by his constant screaming over and over ‘majority black savages’ majority black savages’. For someone aware of military and political strategies and their importance to insist upon affixing this racial bunk upon the anti-Vatican political movement, Eric Jon Phelps is ultimately loyal to Rome. Also today it doesn't appear on your blog roll list my last messge on ABE. 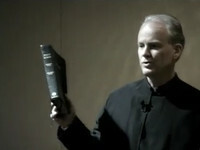 Yes, WWII, inside the II 30 Years War, is the most important topic to expose the Romish church! Just see how Rome manipulated both fronts of war in my zone, and continue to do the same today! I should start to deeply expose this, without to let any other world event to disturb me!!! Its too much important , your discovers are perfectly confirmed & upgraded by the local historical events!!!! Well, of course you know, Douglas, that one of the key tactics used by Jesuits is to serve as agent provacateurs. Discredit the enemy by pretending to be on their side, and then do and say things to damage and discredit them. Very simple infiltration, really. They are scum, and believe that any evil they do, however brutal or subtle, is justified for their "order" - the order of Satan. Phelps greatest honesty may be his garb when giving his Con Con presentations. I remember seeing one such video with him in black with a black Jesuit hat- but was unable to quickly find such a photo- settling instead for the once from Marco Ponce's site. I noted another link, don't know how they are added, I should give a deeper look inside blogger instructions. Anyway are you sure that it is exclusively on the racist question that the forum was pulled down? Iran? I had the opposite opinion about that respect for example the one of EJP and CO.
Then frankly speaking, TUHM forum was always hostile to me. Regards the Adriatic question, I put it quietely on the side of Lacota etc. THUM is wierdly non responive regarding the Ledochowskis, the occult planning of Washington DC, and indeed what both you and I have to say- at a minimum it must be filtered, so that we see it, but not neccessarily a great many other people. Also TUHM spin on the pharmacratic inquisition seems too tabloid conventional with anti drug war sentiment sort of grafted on, and with the usual complet nothing to say about the whole Tobacco versus Coca mercantilism that I write about in Freedom of Medicine and Diet. Its too wierd, and the dynamics speak volumes. Don't they always say just about everything, in multiple layers, with implication, innuendo, deliberate avoidance and silence on key things and at very key times?? Amazing how that all paints the picture, if you know how to look at the dynamics of any complex situation. I have an idea which fits perfectly with your blogs on pharmacratic inquisition - unfortunately it lacks time but at least a short message on ABE will appear. Any way whatever negative judice on TUHM one could have, it is sure that now f.e. ALex Johns continues to spread Jesuitical s*** meanwhile one of the most important sources which exposes Jesuitism (as regard visibility and diffusion, let's put apart the rest), has been censored! But EJP?!?? I found no word about on his VA site!! Probably because they don't like providing media coverage of matters they would find challenging to publicly confront. I've seen that fear of providing media coverage from such entities as the blog "Greater, Greater Washington" as well as a website of the 'environmentalist' organization "Riverkeeper"- in the form of a url referral: a "historical link" from the former and a "list of bad ideas" from the latter- each occurring about one time each, and both being DELETED on both sites that very same day (like some lower level jesuit was overridden by one higher up- displaying a dynamics of fear of publicizing my writings. "......by wasting time in Sicily and slowly up the boot rather then straight from the coast to Rome ...."
Glad I found this article.. I am also blogging / discussing the Vatican Issue and how they are essentially turning the middle east against Israel and are really the ones running the show of the new world order. EJP was the first source of info I found but I was unaware about his racism towards blacks. That is unacceptable to me and I simply cannot endorse his work or quote it without mentioning this issue now. Many thanks to this site! OUR MESSIAH WAS "NOT" CRUCIFIED IN ROME??? BUT, IN JERUSALEM! THEY USE THE KABBALA / TALMUD IN "EVERY" MAN - CENTERED- RELIGION UPON THIS EARTH!